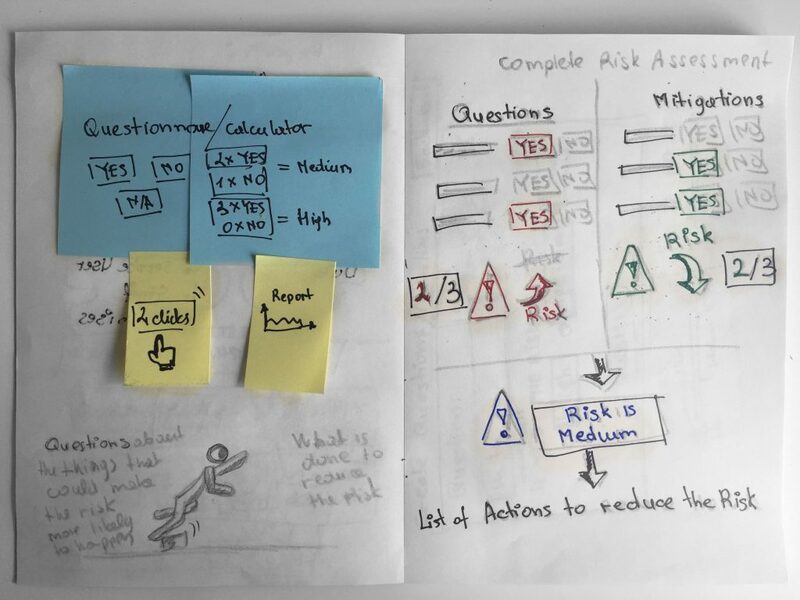 In this case study, I will describe my journey of re-designing Risk Assessment for a desktop app. 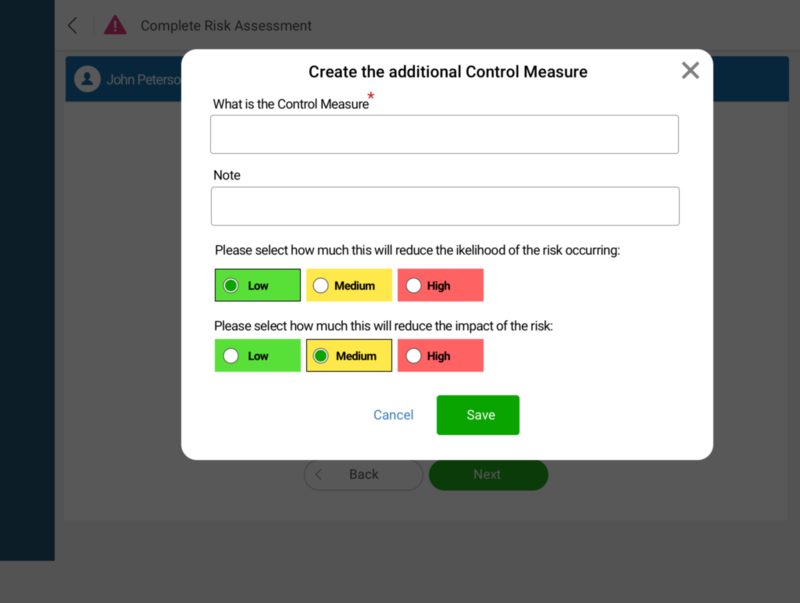 The current Risk Assessment feature doesn’t provide the right purpose and experience for our customers. 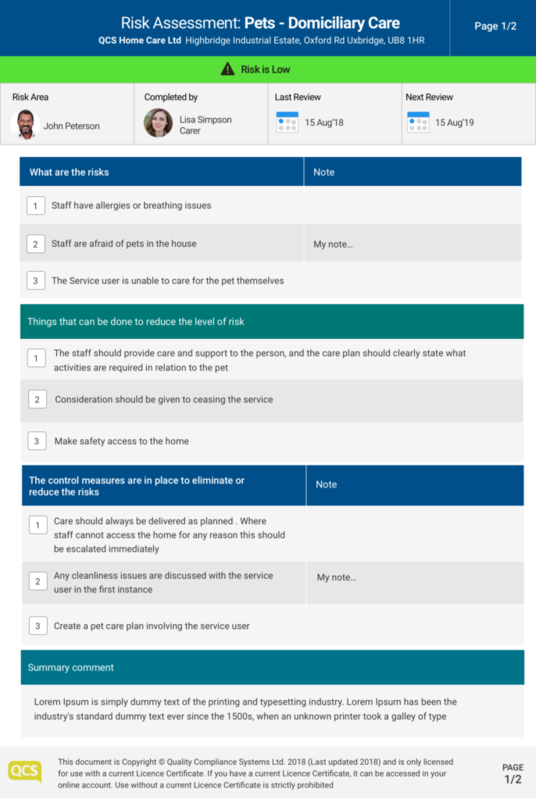 Improving efficiency, value, and usability. 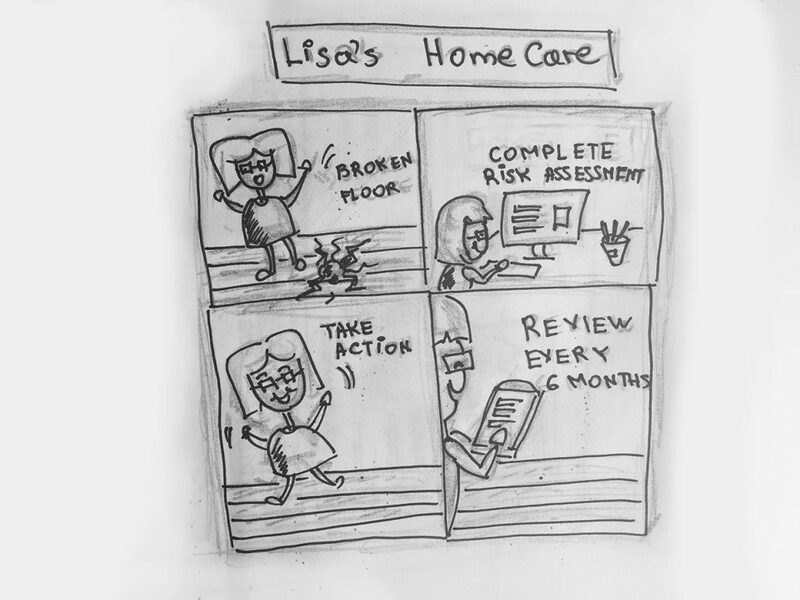 I’ve numerous meetings with the Head of Care and Quality Care Director to learn how the Risk Assessments works and what is the process. 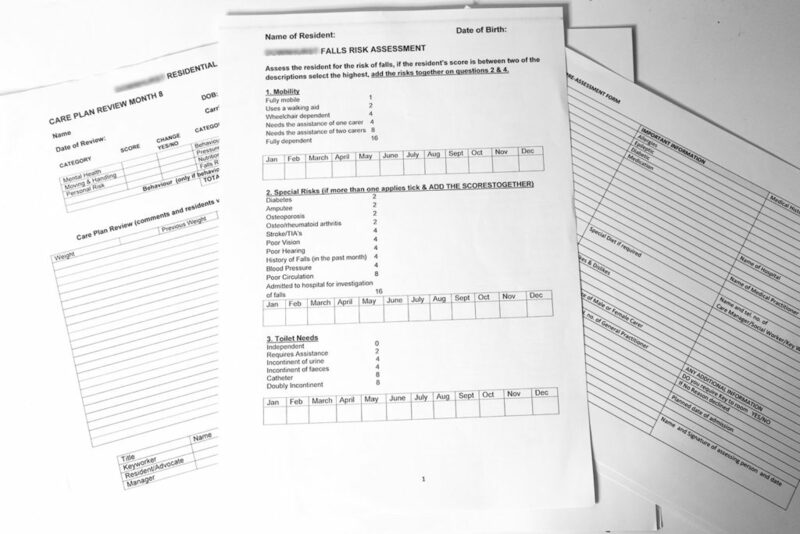 It’s a lot of paperwork completing the Risk Assessments. Visiting our client. 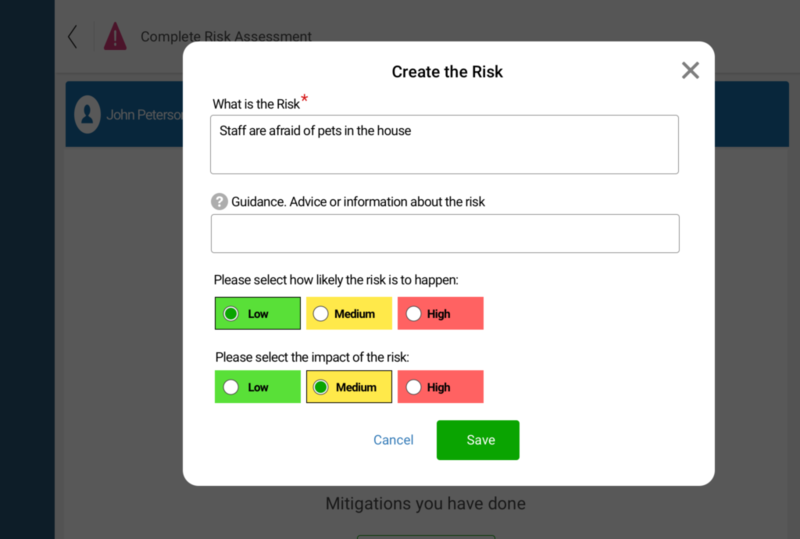 Risk Assessment example. 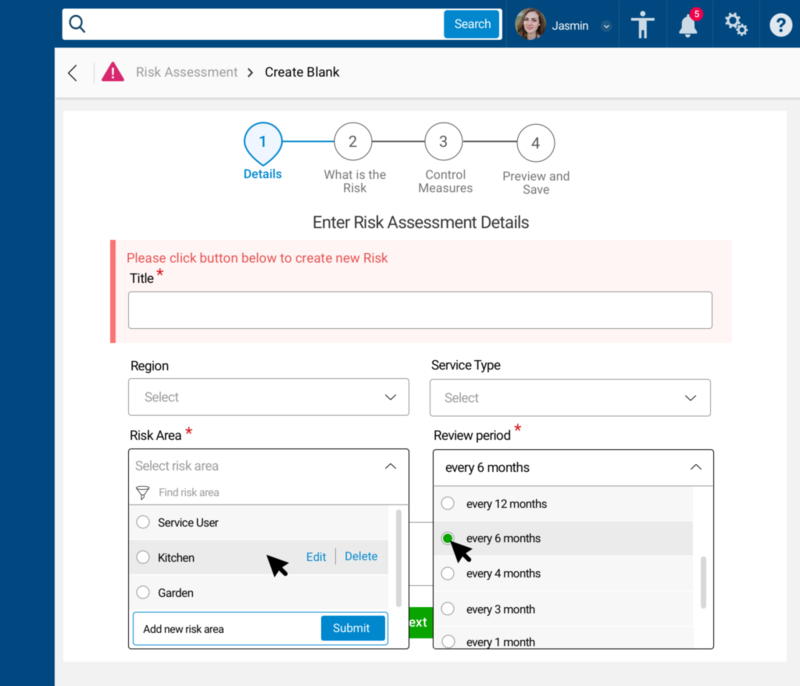 The Risk Assessment feature doesn’t provide the right purpose and experience for our customers. 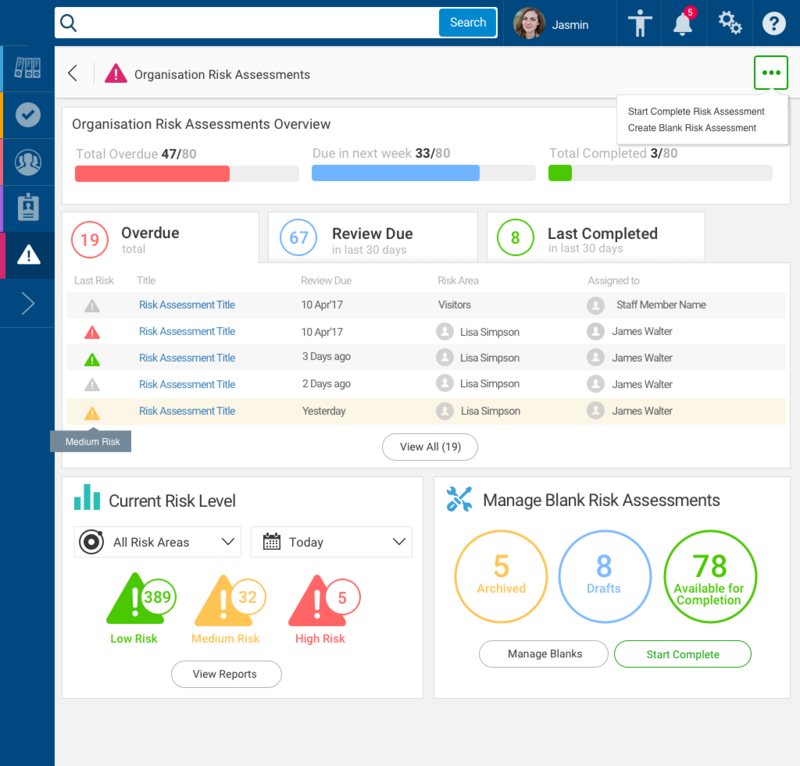 After completing the Risk Assessment doesn’t determine what the risk level is. 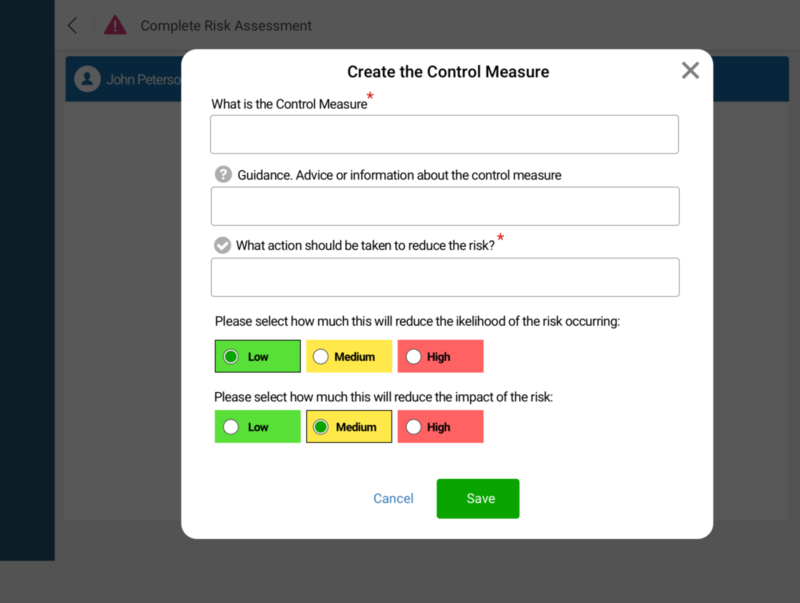 No actions provided to eliminate or control the risk. 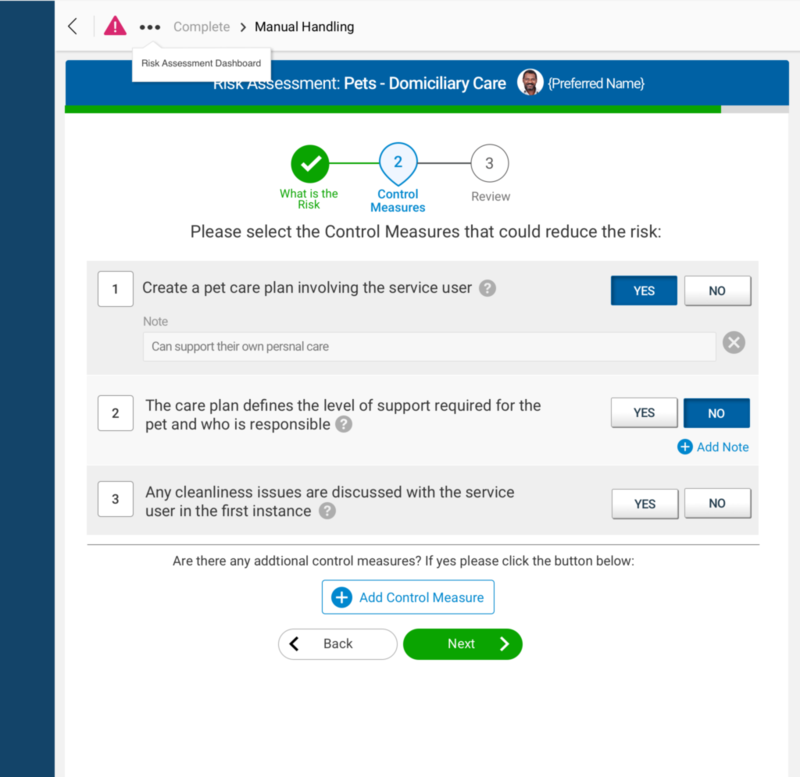 The engagement of the Risk Assessment feature is low, comparing with other care management system features. 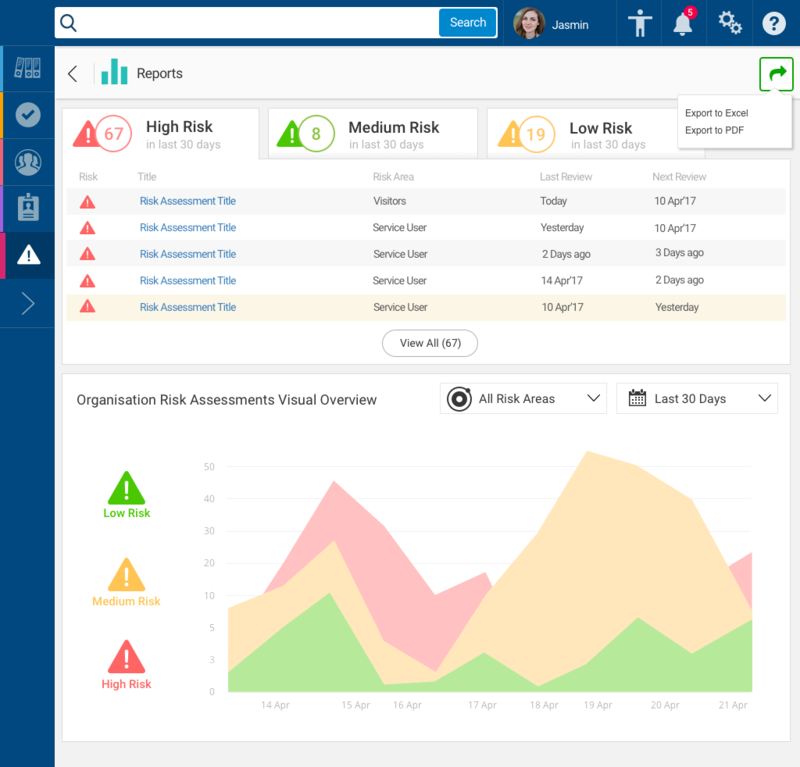 Home care managers can’t see the overall company risk level. 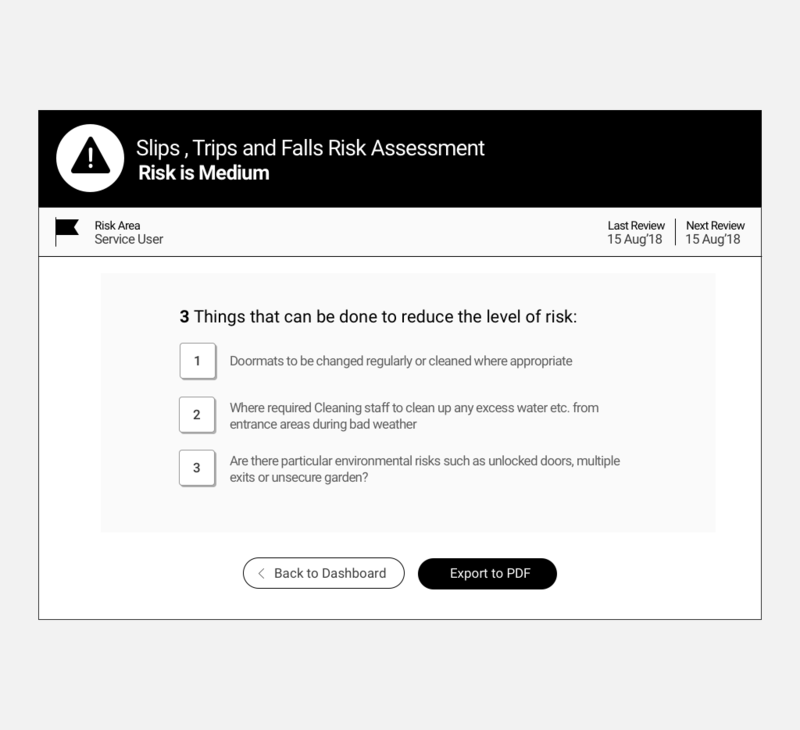 Create effective risk assessments process for our clients that helps to keep service users and staff safe. From a business perspective, our goal is to increase feature engagement giving customers the best experience they deserved. 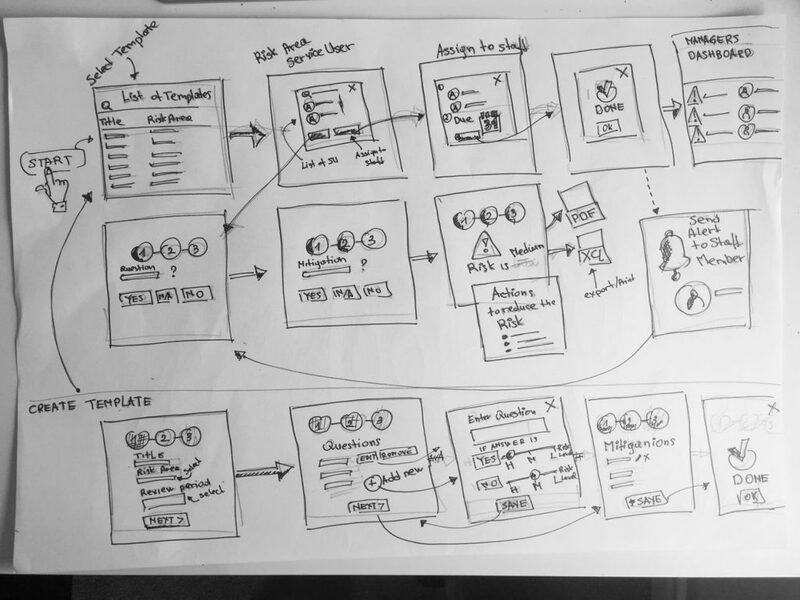 If we can make it easier for our customers, then our product will grow faster. 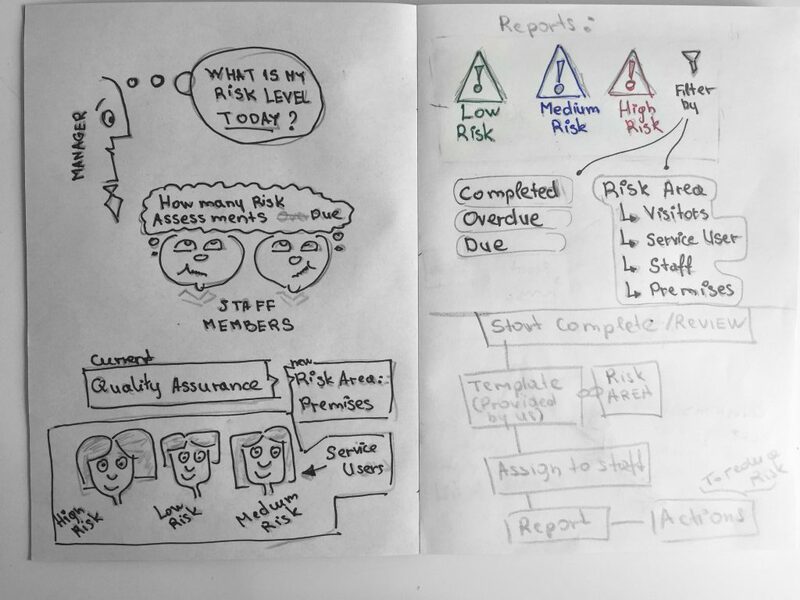 I’ve to re-think the Risk Management process and come up with, validate, and test a series of the hypothesis. I needed to understand our clients thought processes. 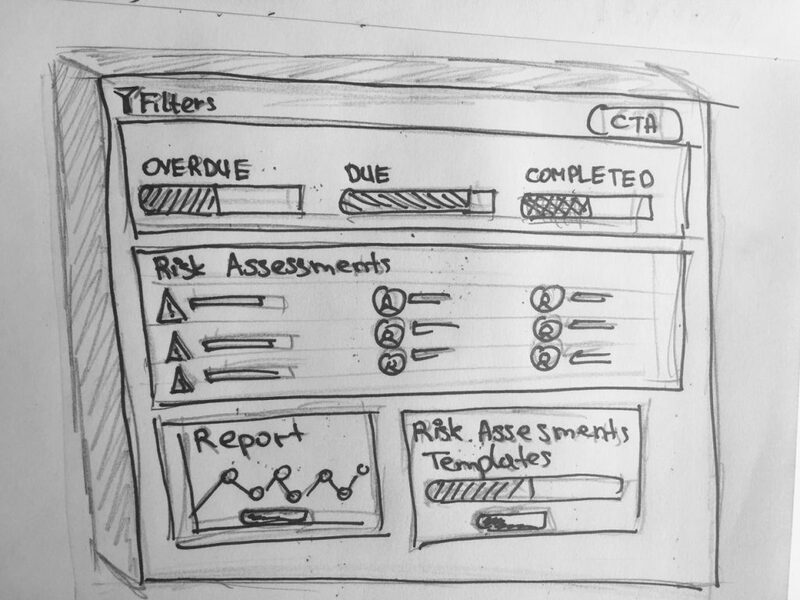 Only then I would start making wireframes. 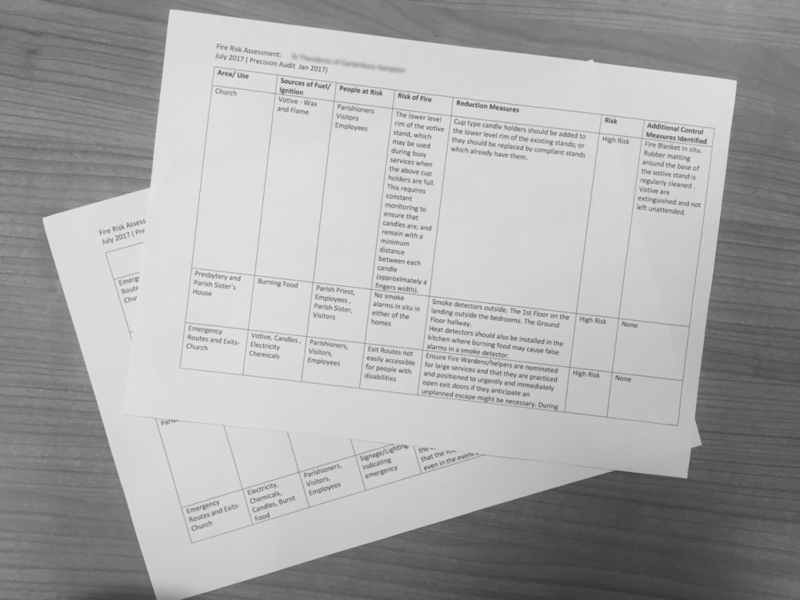 Completion of the Risk Assessment process. Step 1. 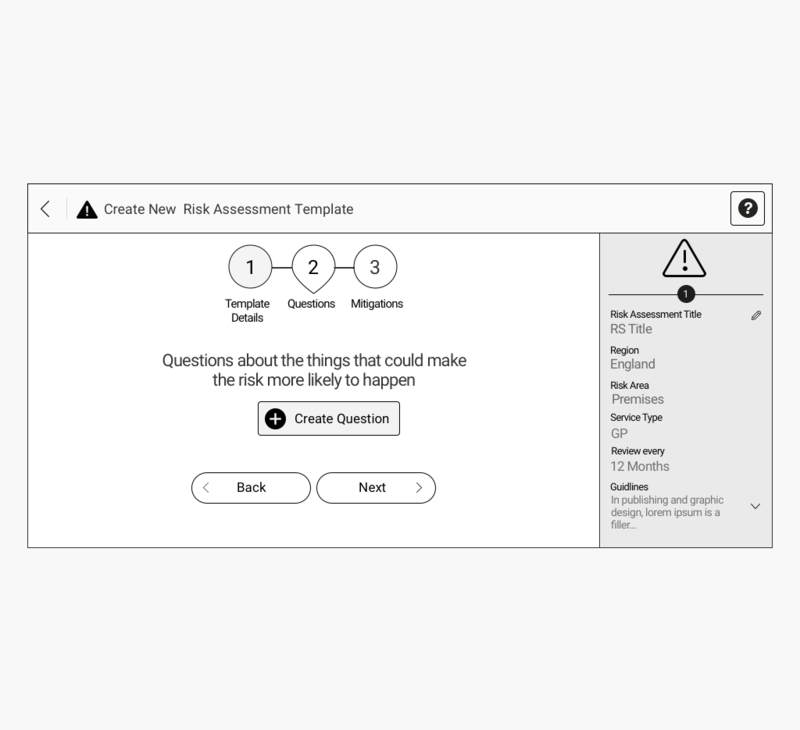 Choose a Risk Assessment template. Step 2. 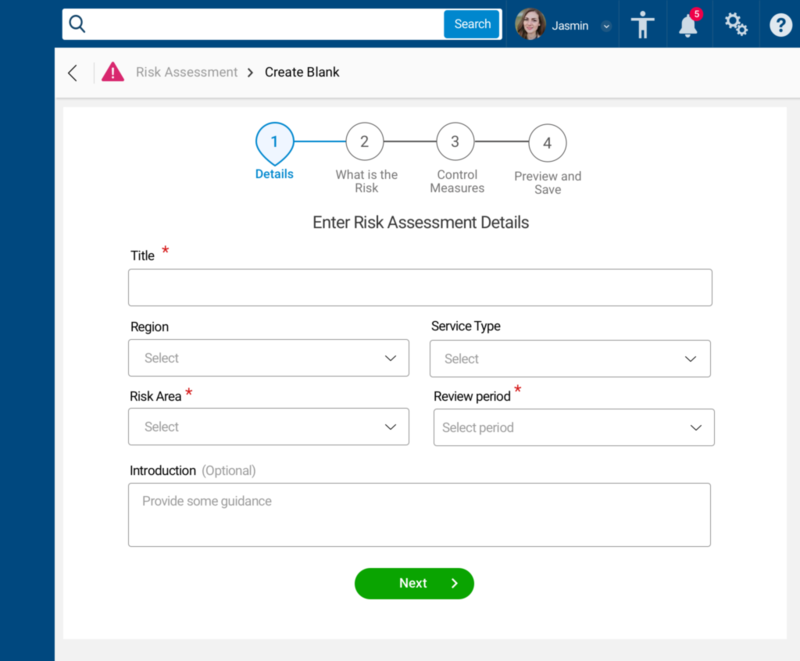 Hazard and risk identification. 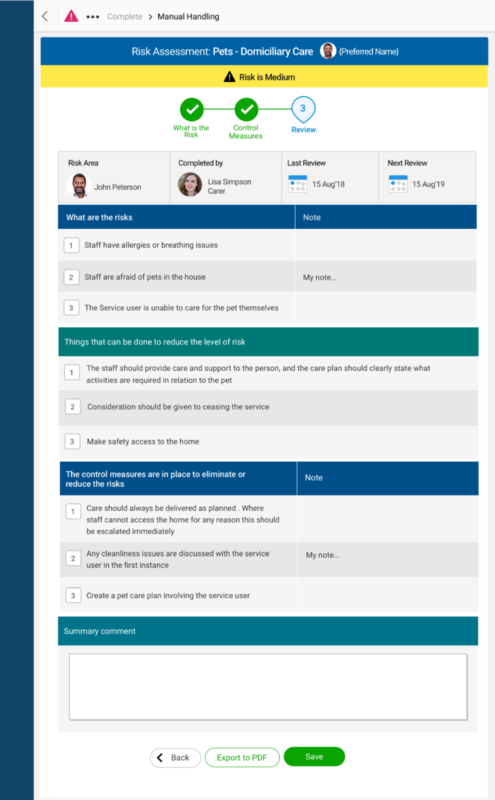 User testing was the only way to know how our customers are interacting with the new feature. 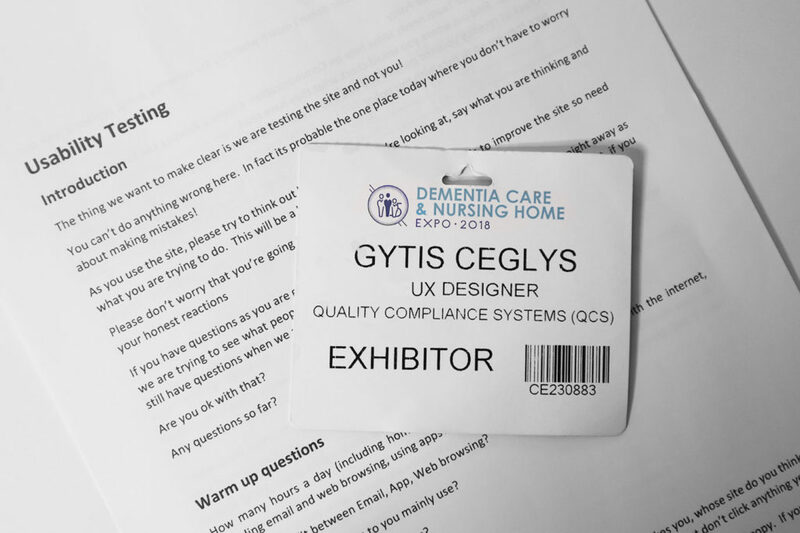 The first opportunity we had in Dimensia Homecare Exhibition in NEC Birmingham. We had eight participants. All from eight, they have completed the task. 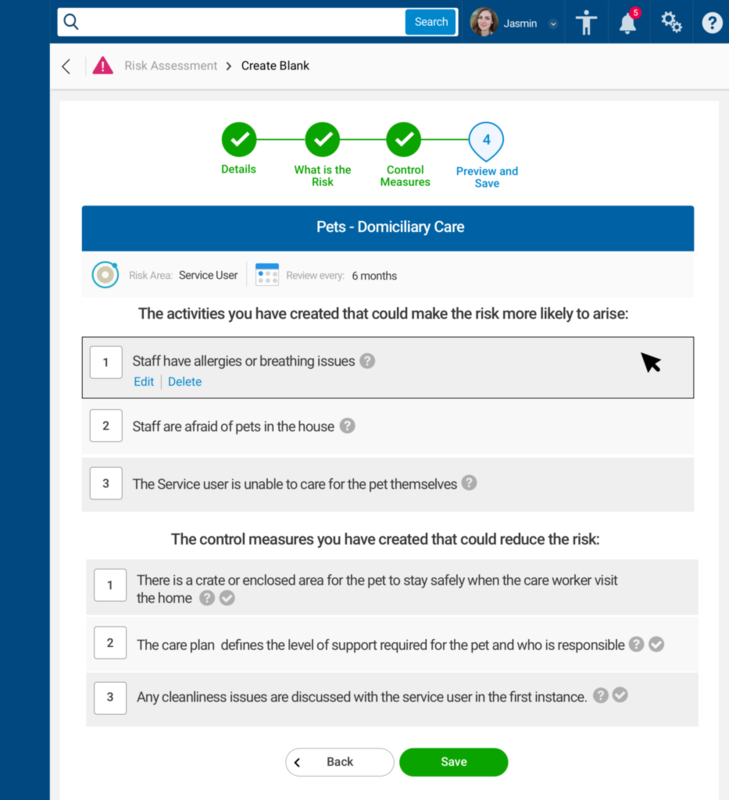 Add the ability to customise the Risk Assessments for the individual service user. 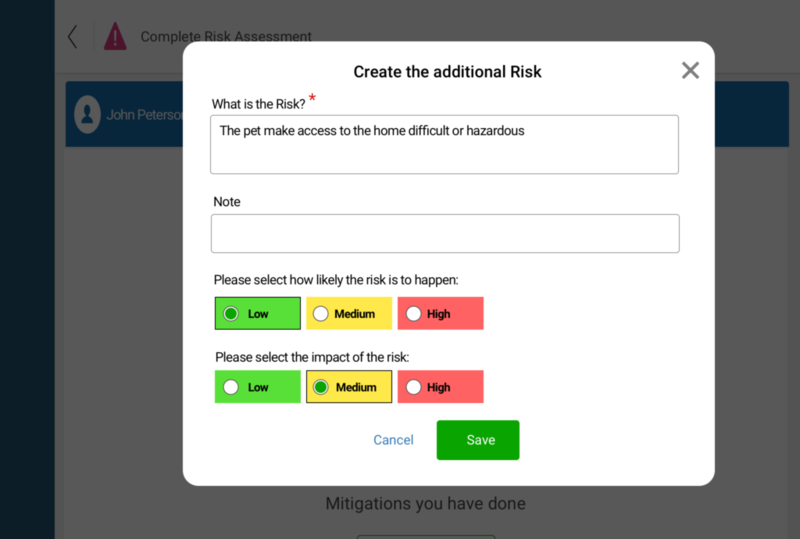 Review completed Risk Assessment before submit. 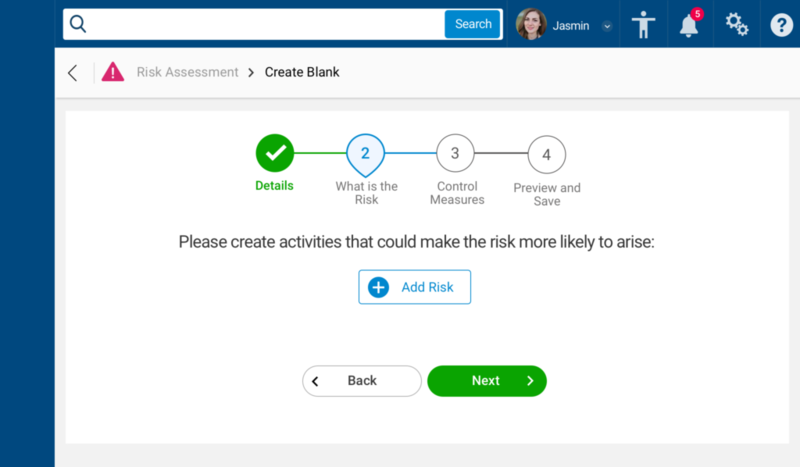 Add actions to eliminate or control Risk. Step 2. Add the Risk. Pop-Up from Step 2. Create the Risk. Step 3. Add Control Measures. Pop-Up. Create the Control Measure. Step 3. 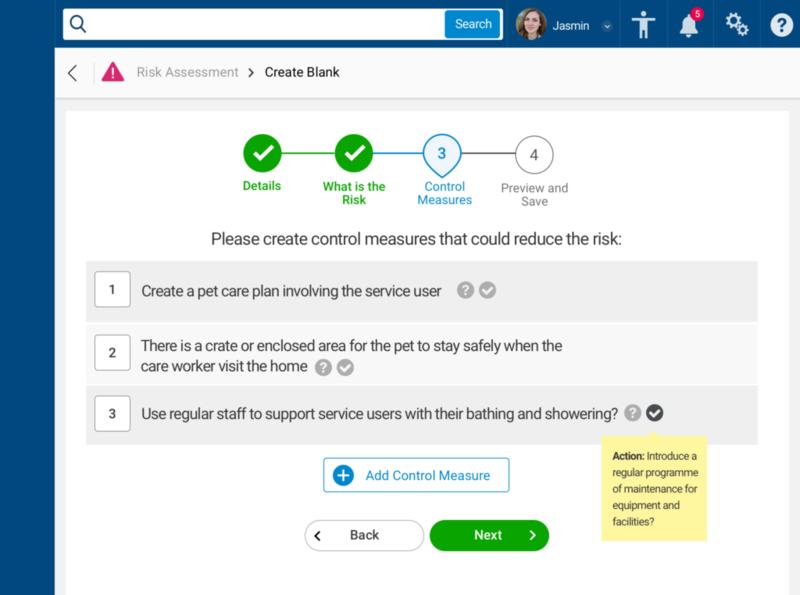 List of Control Measures. Step 1. Identify the Risk. Step 1. Pop-Up. 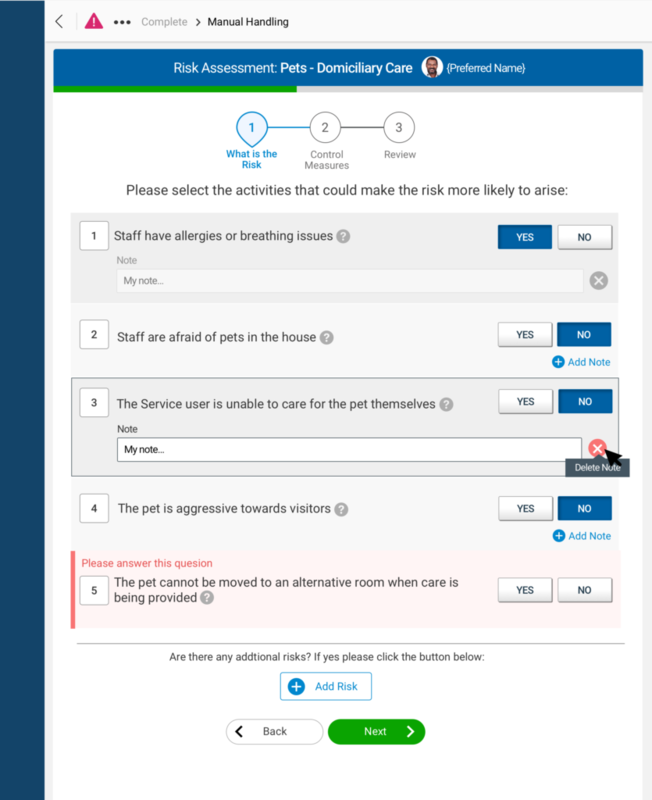 Add additional Risk for service user. Step 2. 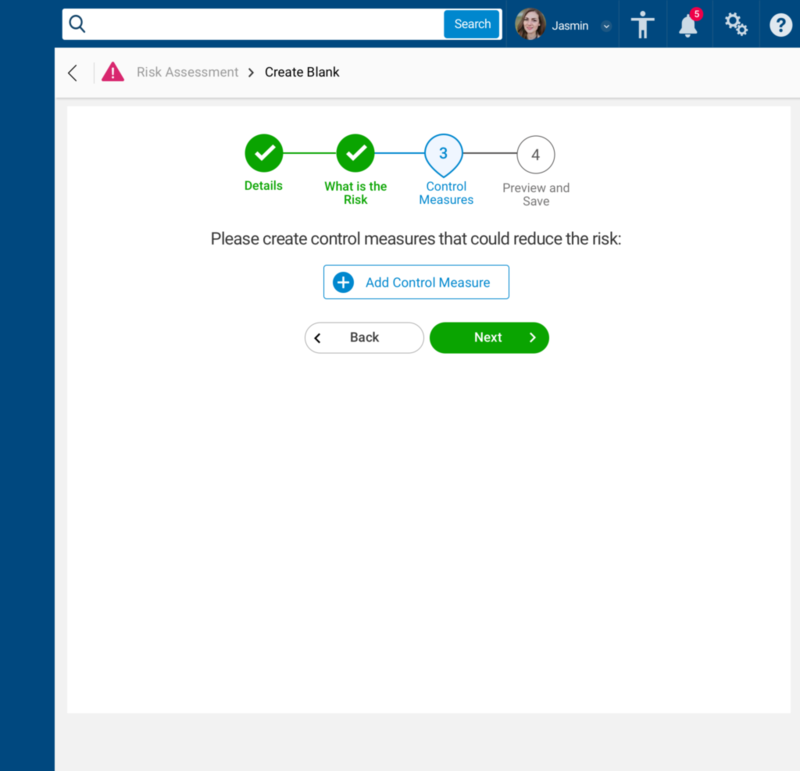 Add control measures. Step 2. Add additional Control Measures. Step 3. Preview and Save. Step 1. 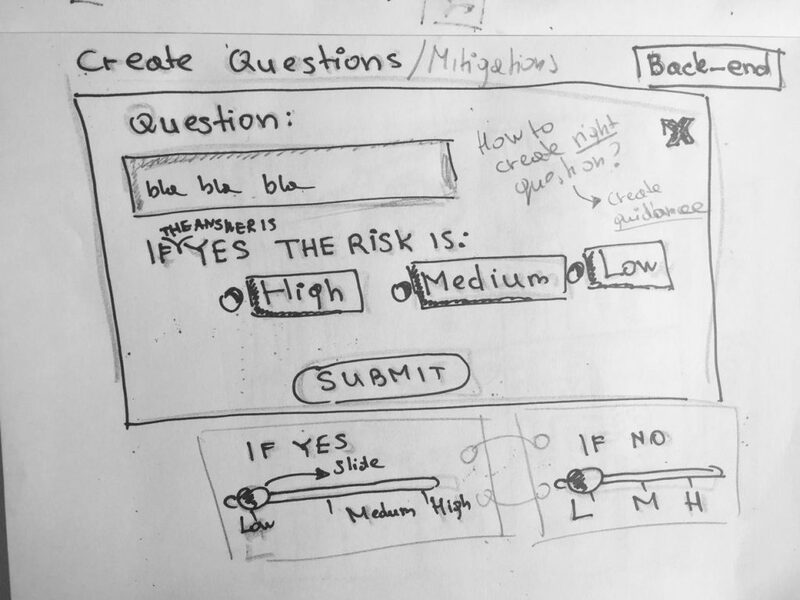 Create additional Risk. Small steps are easy to follow. 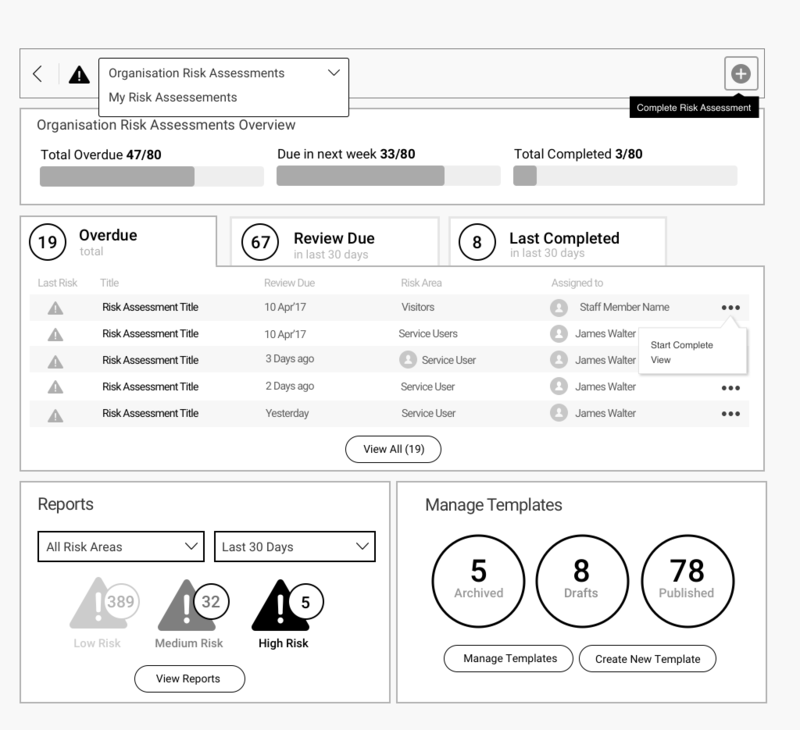 Creating digital Risk Assessments was a fascinating journey for me. I've worked with very talented people and learned how important it is to work together on the team.